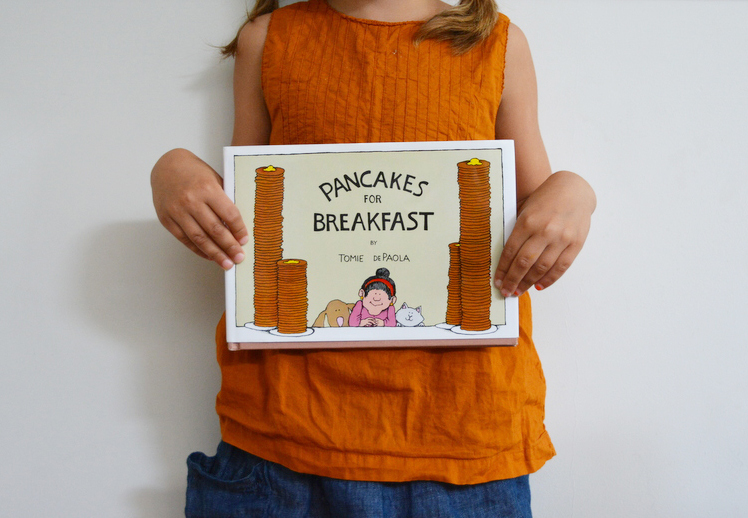 Pancakes for Breakfast is a sweet little book which tells the story through pictures, no words. It’s become one of Marlow’s favourite books recently, and I think it’s because we really read it together, looking at all the images and pointing out all the funny details (and of course making all the animal sounds). 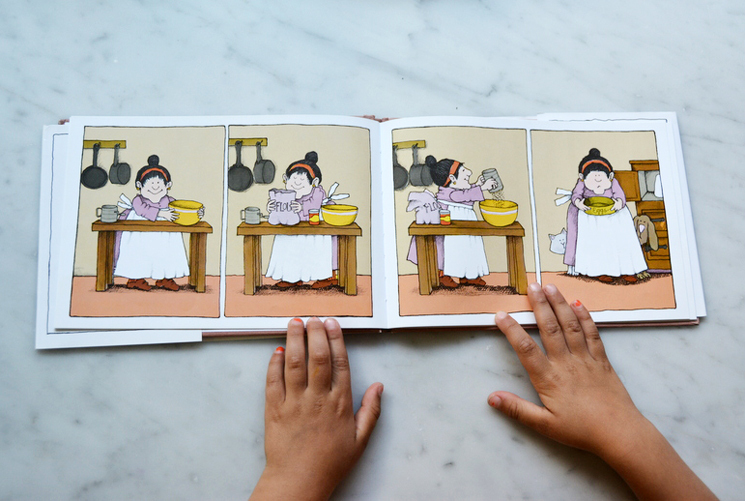 It’s interesting how a book without words forces you to really tell the story in an active and engaging way that appeals to children. 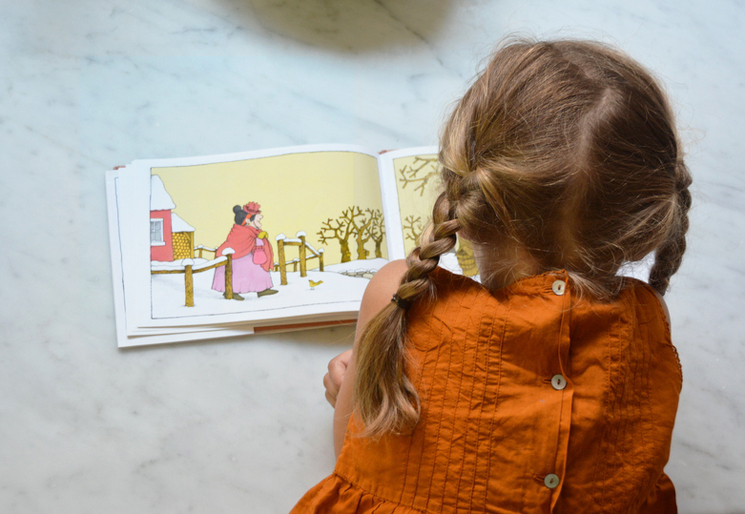 It’s also fun because Ivy can read the story too, without struggling over words. 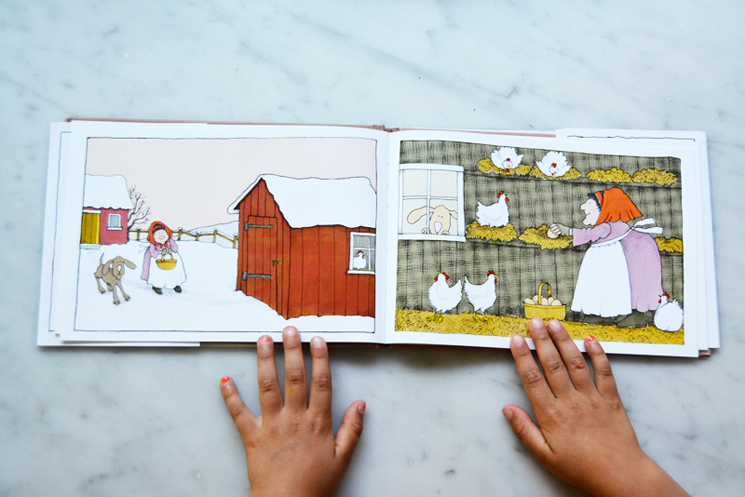 The story is about a little old lady who wakes up one wintery morning and craves a stack of pancakes for breakfast. She sets out to make them, and along the way realises she doesn’t have all the ingredients so she has to go out to the hen house to collect eggs and then back out to the barn to milk the cow and then over to her neighbour to buy some maple syrup, etc. The illustrations are really endearing — we love the cheeky cat who eyes the milk and the clumsy dog who always gets in the way. A sweet book for babies and children up to reading age. Available from Amazon (UK and US ). What a sweet book. Especially for a pancake fanatic 😉 Going to pick up for my little guy. This recommendation is perfect for us. We too have a tradition of making pancakes (not just on weekends 🙂 passed down from my dad. Thanks! We often have pancakes for breakfast, lunch AND dinner. We’re big on fluffy American pancakes. Thanks for letting us know about the book. It looks great! Hehe, tailor made for your family! And so international, no matter where you’re from and what language you speak. Have to buy it!